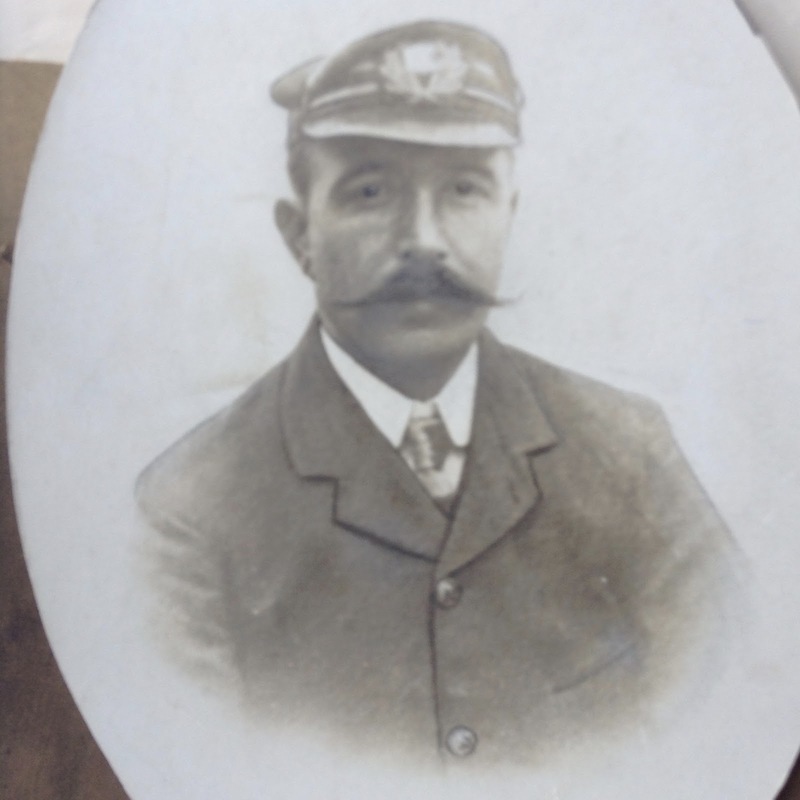 On the 22 December 1916 the brother of Capt. JR Wedgwood; my Great Grandfather, W E Wedgwood, also a master mariner, was the Chief Officer on board the SS Copeswood in the North Sea when they sighted a Barque, dismasted and flying distress flags in horrendous seas. Unable to rescue the crew, they stood by during the night and eventually the next morning rescued the crew with exceptional difficulty. Both the captain (Albert Perrin) and WE Wedgwood received silver medals from His Majesty King Haakon of Norway. 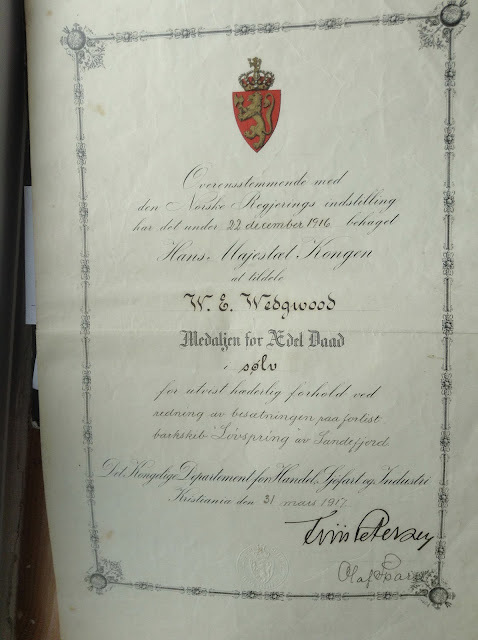 Bill Wedgwood has the medal and for some reason I have the citation. The wording is similar to that given to Captain A H Perrin. The Captain of the SS Copeswood was Captain Albert Hawkins Perrin and he was awarded this silver cup by King Haakon of Norway. My grandfather was awarded a medal and certificate which I have. He died in 1954 and lived at the Hare & Hounds Inn, Hawsker.